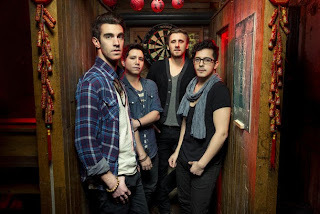 American Authors Cover Lorde's "Royals"
As Lorde continues to take over radio stations worldwide with "Royals," the covers and remixes are starting to surface. One of my favorite versions I have heard so far is Brooklyn's American Authors version. It keeps the same flow as the original, but add in hand-claps, banjo, and a more folk sounding style. It's so good, that if the original did not exist you could really feel this as their song. Stream it below.